Lennart Neubauer may only be 14-years-old but the young German is already landing an impressive repertoire of moves like culos, burners, regular and switch konos, shakas, double pop flakas and more. Neubauer competed at the PWA Youth Freestyle World Cup in Fuerteventura earlier this year where he claimed an emphatic victory in the U15s, while also finishing 2nd in the U17s - only missing out to Corto Dumond, who claimed the PWA Youth Freestyle World Championship. 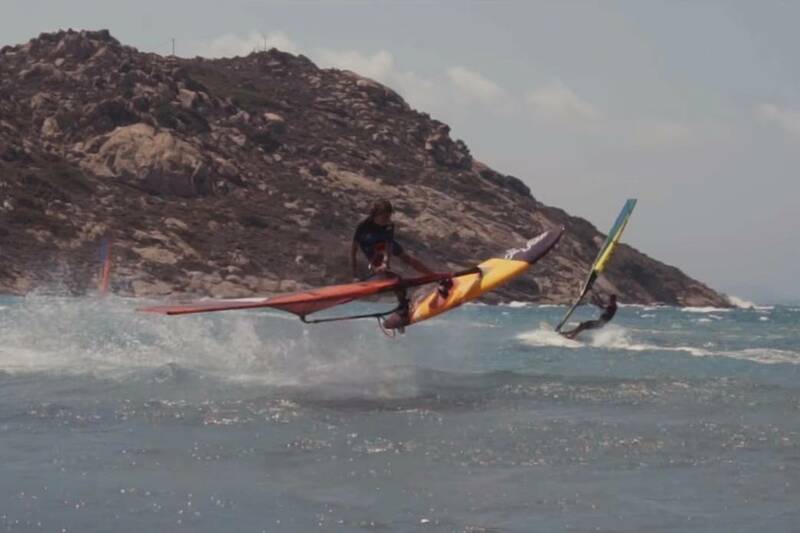 JF Films: Lennart is a 14-year-old windsurfer who lives on the Cycladic island of Naxos in Greece. He is currently the U15 world champion in both freestyle and wave disciplines. During summertime he enjoys the perfect conditions of his home spot in Naxos. Check him out blasting a firework of moves in his latest video!